Who are the Screenwriters of the 2014 Challenge? Quote Reply Topic: Who are the Screenwriters of the 2014 Challenge? 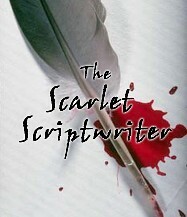 Just looking to get to know who is taking part, and where each of us is in our screenwriting careers. Been writing for about 10 years. 10 Specs, 2 original Pilots, 1 Spec pilot (Law & Order), 5 shorts, 1 novel. I have one script optioned and in development, and another working it's way towards that. Both are Family oriented films, though my genre of choice is horror. Go figure. I have a B.A. in Film and an MFA in Screenwriting. I've worked in the film industry on the production side of things. I much prefer to be behind my keyboard. This is my third time doing the NYC Midnight, but my first time since 2006-2007-ish? So........ who are all of you! I am not a professional at all but always wanted to try screenwriting. I read a bunch of books and screenplays but thats all I did for a while. I saw the short screenplay contest and thought, why not? Seemed like a pretty level playing field (2 days, pigeonholed into genre and what not). I didn't make it to the next round but I was in the 6th slot so I'm already pleased with my progress. Any of you lurkers going to introduce yourselves? Well, I just figured since the film industry is largely predicated on networking, it may behoove people to know who they're talking to. I'm Michelle, an Open university Student studying for an English LIterature BA with creative writing, and I totally fell in love with screenwriting on my last course. I was thrilled to get shortlisted in another big contest, but didn't get beyond the shortlist stage, this year I'm planning on getting through to the quarter final stage at least. I submitted one of my course screenplays, once I edited it for the real world, of course. So far, I am loving this site, loved the thrill of racking my brains for a screenplay idea, writing and editing to a deadline. Not expecting to get through as I think there are soooooo many talented people here, but enjoying myself, and it's the taking part (and learning lots in the process) that counts. A little detective work on the assignments list and you would discover I am Randall Berger from Melbourne, Australia. Google makes me an open book. Born near Death Valley and raised in Santa Barbara, California ... migrated to Australia 40-odd years ago. I work as both a writer and actor, in all mediums, as well as butter my bread teaching professional communications in college. And he was I thinking the film industry was largely predicated on backstabbing, bitchiness and bull5hit ... my bad. Mate, I work both ends of the lens ... writing and acting. I do let myself off the leash once and a while. It's nice of you to ask. Do you play http://www.hsx.com? I don't know that I've ever asked anyone here ... I've been doing it for like 15 years. My own portfolio and a fund. Fun. My name is Ricky Guinn currently living in Houston TX. First started screen writing when a friend showed me a link to a contest saying I should try it. Still working on the learning part but I've written two scripts both currently in the rewrite stage. keep telling my self what's the worst that can happen. you don't win .. Hell that happens when you don't even try. My daughter showed me this site and we were suppose to both enter. but she didn't make it in time so I carry on. Ok. Names Rob Bunker. Live in Watord (outer London, UK). I swear/cuss a lot. I've been a film fan since I was a kid. Growing up, music was my 1st love and have provided vocals for many a rap song. I'm still a Hip Hop head, but age has caught up with me, so when I was made redundant from my previous job I decided to take the money and further my education. In January of 2011 I attended the London Film Academy where everything about film making smacked me round the back of the head and said "What the f**k have you been doing all your life? You should have been doing this! Idiot".. My 1st screenplay(a short called 'Mistaken') was chosen to made into a short film, which my now wife was chosen to direct. I was chosen to direct another short 'Broomstick Waltz'. Since then, I've been a part of starting an independent film production company (Nothing Box Films). We've made corporate and music videos. My 3rd screenplay (30 pages called 'Howard') is in post production and waiting to see the 2nd cut. I also directed. So, yeah, that's what I wanna do. Write and direct. This is my 2nd competition with NYCMidnight after the 48 hour challenge. I missed out on getting through to the finals on a technicality. I also thought my entry 'Clipped Wings' was better than what it scored and seemed from the feedback that the judges didn't understand what I was trying to do, even though other writers in the competition did. Just goes to show that it's luck of the draw when it comes to judges. This 1st round entry will be my 7th screenplay. Anyway, I've learned a lot. Including I need to work on my grammar and punctuation. I'm now looking to find something to inspire me to write a feature screenplay. Ideally I would like this to be my career, but unfortunately at the moment I have a normal job, like a normal person. Which is sh*t.
My wife(who I met at Film School) and I are now expecting our first child, due early July.